Wahun is a city in China the size of London where an experiment in democracy is conducted. At Evergreen Primary School, a grade 3 class learns what democracy is when an election for class monitor is being held. 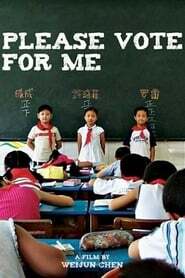 Three children are chosen by the teacher as candidates and they have a few days to campaign and convince their classmates to vote for them. The little candidates are seen at school and at home, where their parents do their best to make sure their child will win the election.